STC’s 2019 Technical Communication Summit & Expo offers a diverse array of speakers that are sure to stimulate, educate, and entertain attendees. The Summit opens with General Session keynote speaker Peter Morville, author of Planning for Everything: The Design of Paths and Goals. Peter is a pioneer of information architecture and user experience. He is best known for being an author of the “polar bear book” on information architecture. At Tuesday’s Honors Event, you’ll hear from Survivor: David vs. Goliath contestant and technical communicator Gabriela “Gabby” Pascuzzi. She will share her experiences and how her technical communication skills helped her to progress through the game. The capstone on the Summit will be the Closing General Session, with presentations from three stars of technical communication: Saul Carliner, Ginny Redish, and Karen Schriver. See the Full Schedule for details about all the sessions and the speakers that will be available to you during the conference. 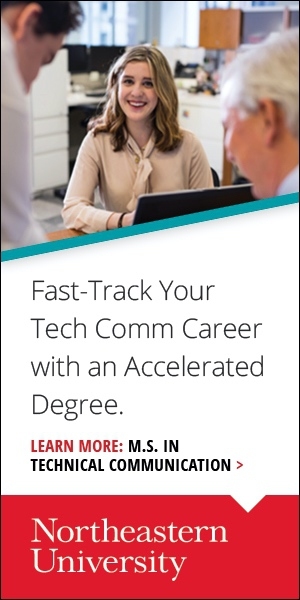 Don’t miss your opportunity to learn from the best and brightest in tech comm. Register today! Already registered? Make your hotel reservation at the Hyatt Regency Denver so that you’ll be staying at the official Summit venue. If you’re thinking of arriving early or extending your stay, check out the Visit Denver micro-site for the Summit that has information about fun things to do in and around Denver. Next Meet the 2019 Summit Opening Keynote!